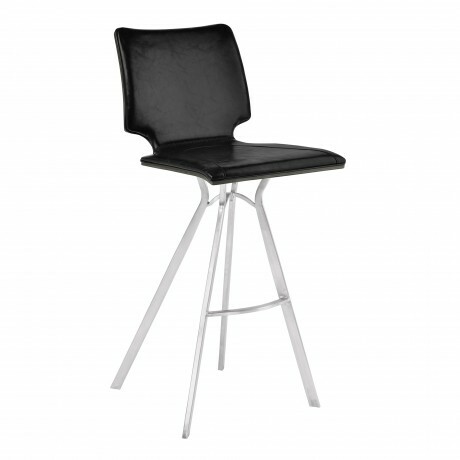 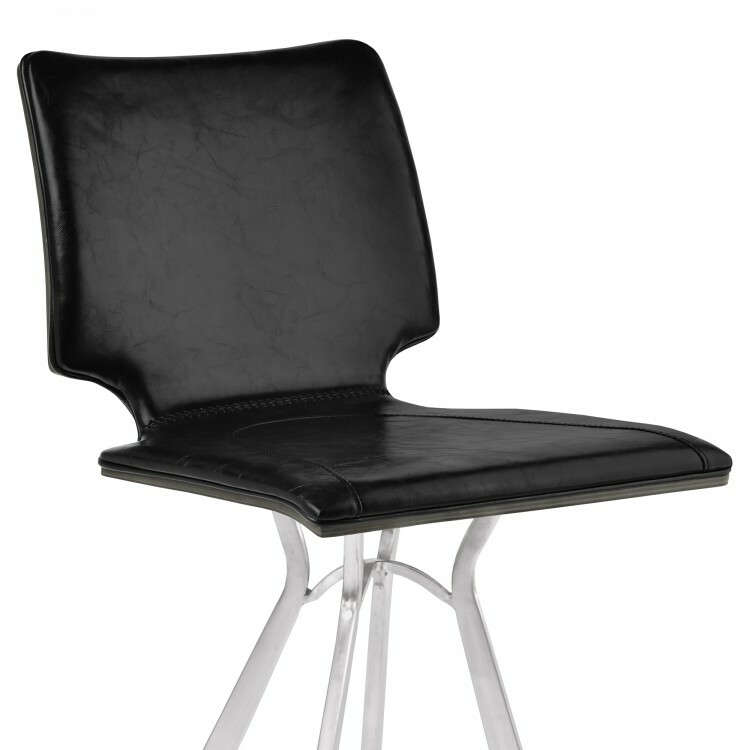 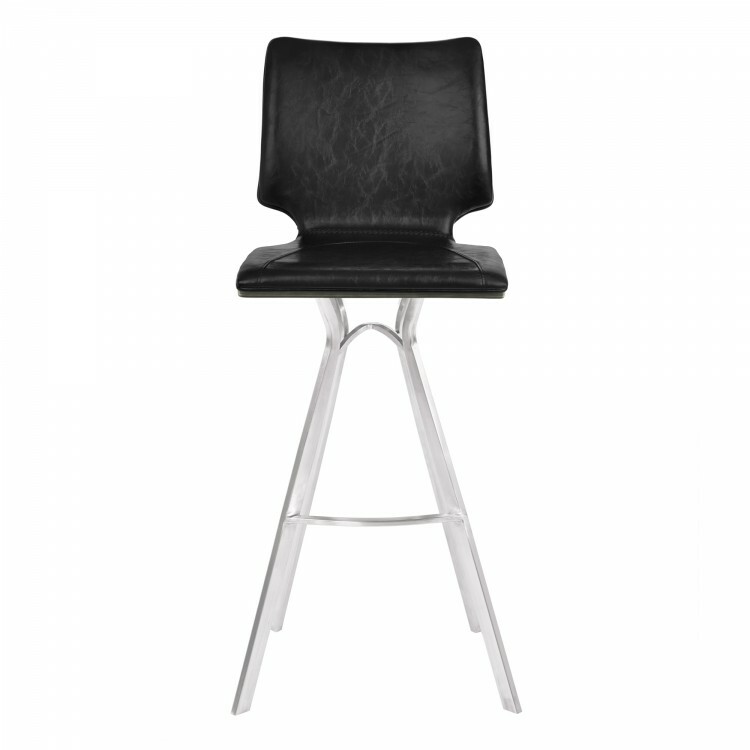 The Armen Living Marley contemporary barstool is a great addition to the modern household. 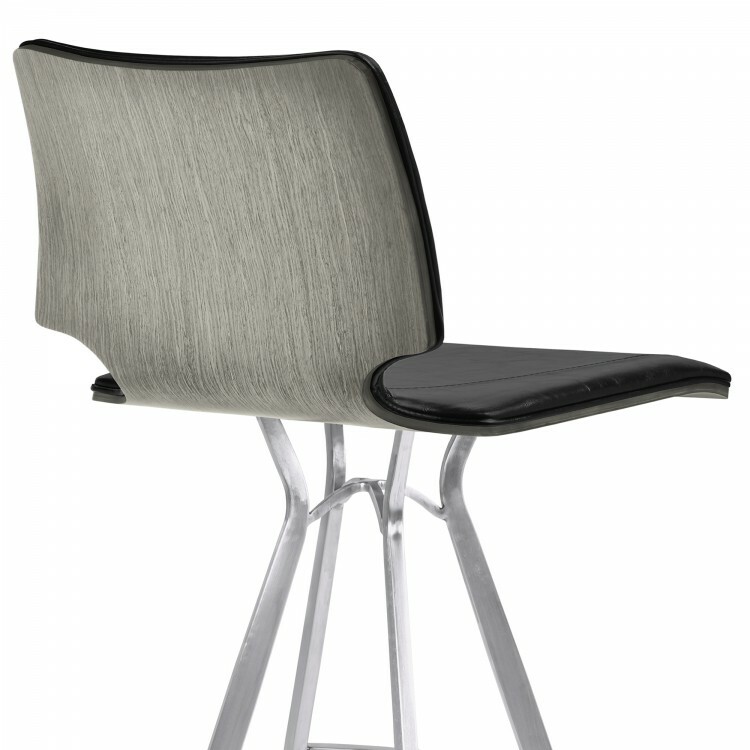 The Marley's brushed stainless steel finish design is both sturdy and exceptionally stylish. 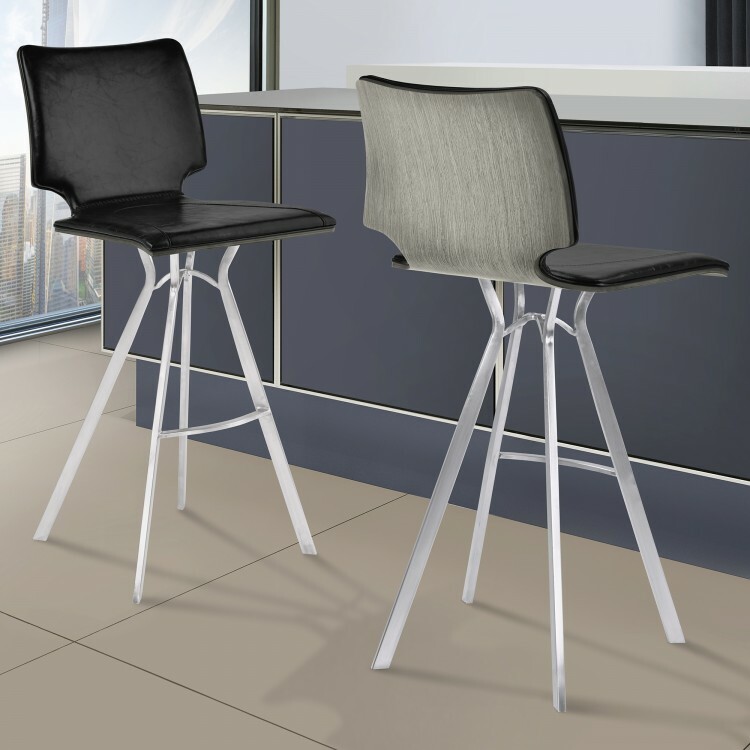 The barstool's grey walnut wood back provides an excellent accent to the overall design while the added footstool enhances the Marley's high degree of comfort. 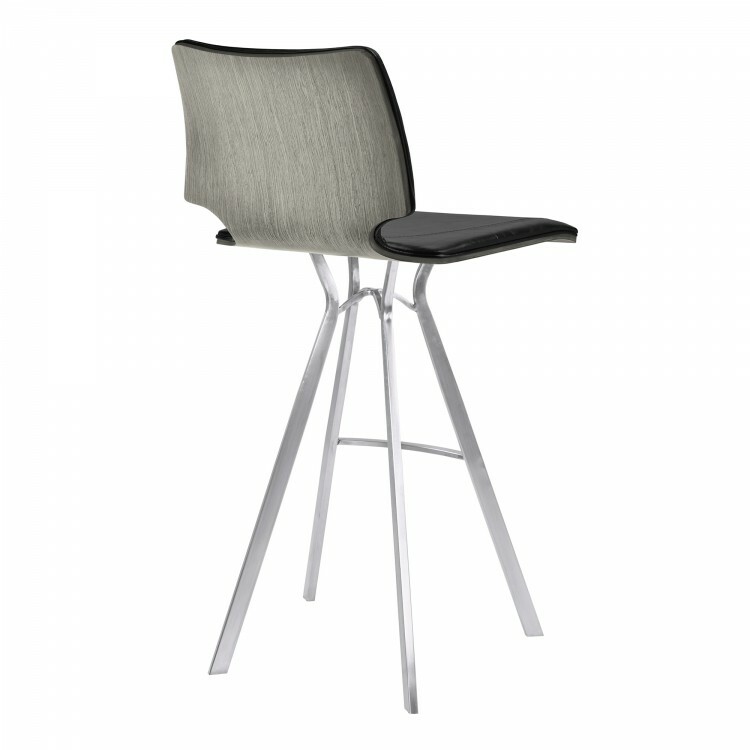 The Marley barstool is available in 26 inch counter and 30 inch bar height and comes in vintage grey. 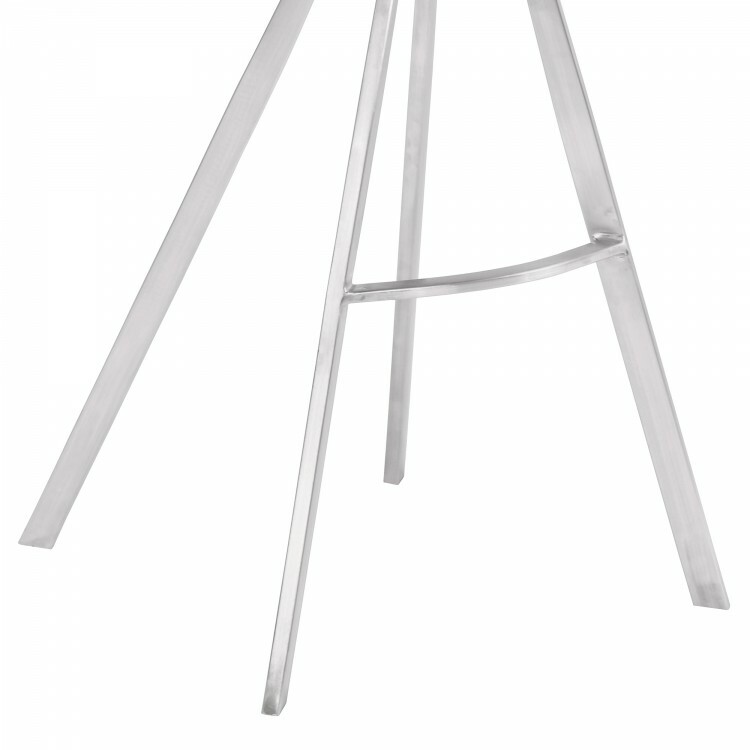 Product Dimensions: 17"W x 18"D x 43"H SH: 30"